Are you ready for some explosive firework nail art? Whether we’re watching fireworks in the US on the 4th of July, or celebrating the New Year halfway across the world, or attending a Japanese festival in a kimono, fireworks are always a thing of awe and excitement. Nothing is more glorious and vividly memorable than multi-colored fireworks exploding in a brilliant display of light and patterns. And maybe because they never last as long as we want them, their beauty becomes even more unforgettable. 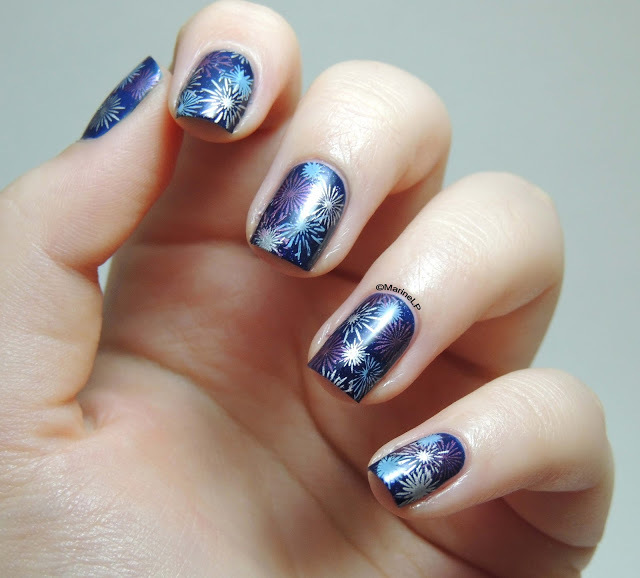 Nobody can say that firework nails are classic designs. They’re kitschy and fun which is the whole point. They’re like 4th of July nails that you paint on when it’s the 4th of July. It’s like putting on a birthday hat in a birthday party in order to join in the fun. And what fun we have during firework days when we also get to have barbecues, parades, picnics, and carnivals. Celebrate with these firework nail art designs and be ready to rock, sparkle, and pop.